The participation of RIF e.V. 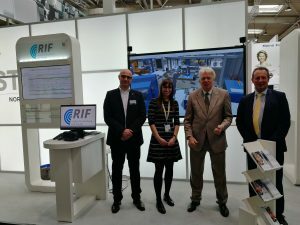 at Hannover Messe 2019 ended with great success. 6,500 exhibitors from 75 countries and 215,000 visitors attended the world’s largest industrial fair. 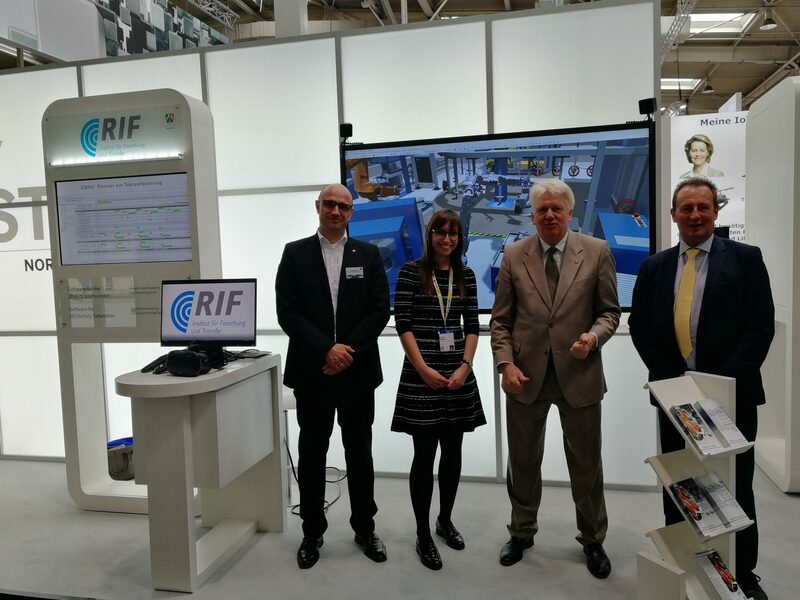 RIF was part of the exhibition “Digital Factory” and presented its products and services for 3D simulation, virtual commissioning and cycle time planning. Many visitors learned about our software tools CIROS Planner and CIROS Studio and entered virtual worlds with the HTC Vive VR glasses. On Wednesday, the Lord Mayor of our hometown Dortmund, Mr. Ullrich Sierau, was delighted to hear about the many opportunities offered by our simulation solutions as well as the direct cooperation in research for the Dortmund economy. We thank all visitors for making our stay in Hanover a great success!